"I have no idea. I grabbed this shirt when I was running out the door, threw it on, I put on my pants and flip-flops. Thought it would be comfortable and it's sunny out, so..."
As Vivienne Westwood says, "It is not possible for a man to be elegant without a touch of femininity." 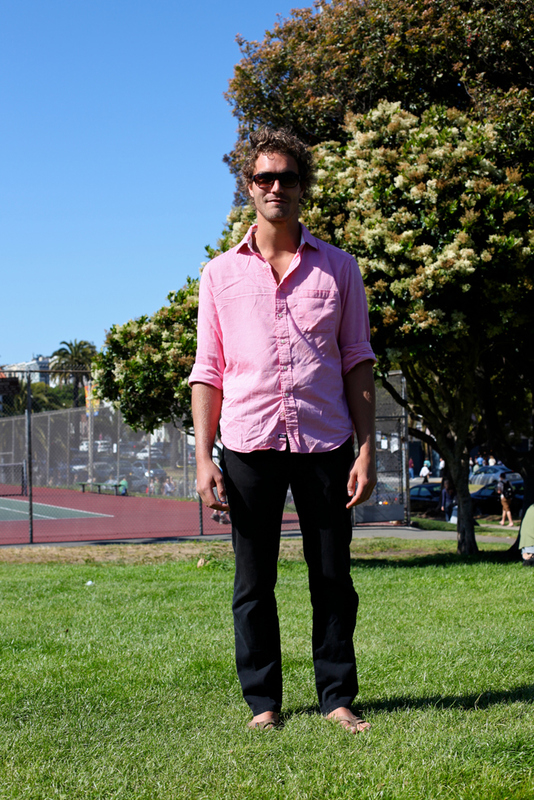 Pink button down and shirtsleeves? Yes, please. Also, who knew basic black cotton pants could look so good? oh my goodness! Besides having a great carefree style, Stewart is a babe! OMG!! I wonder if he is available!! If he is not... Lucky girl!! 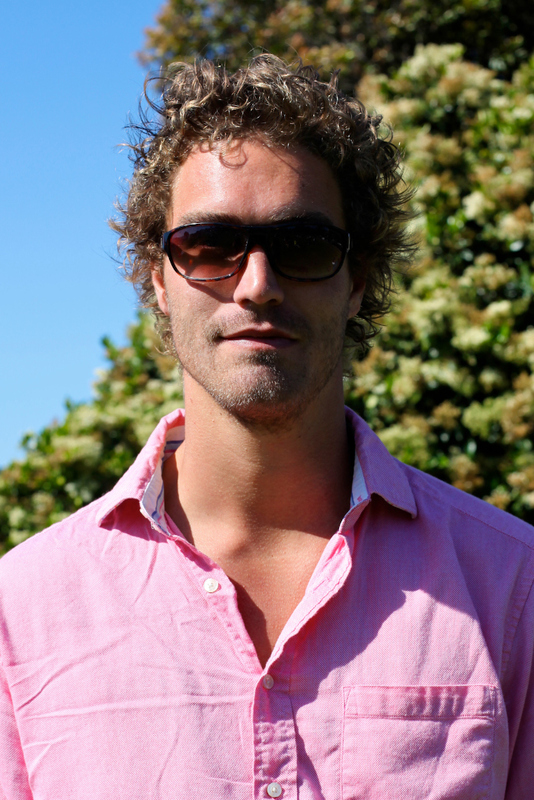 This dude could be a stunt double for Matthew McConaughey.